As a teenager Kate Callison ran away – from home, from hope, from God; she never really stopped running. Amidst a daily battle of keeping her emotions from coming to the surface and keeping her past from catching up with her, Kate faces even greater challenges at her new job where she must fill the shoes of Sunni Sprague, the missing Director of the Emergency Department at Austin Grace Hospital. Sunni was beloved by all she came in contact with, and from the very first day Kate finds it a fairly impossible task to fill Sunny’s saintly shoes. Taking over this position would have been a challenge for any newcomer – but for cool Kate, who keeps a firm wall between her and her staff, becoming well-liked and securing permanent employment is a battle she might not be able to win. But then, Kate is not looking for permanence anyway… is she? Wes Tanner loves nothing better than to rescue the lost – whether it be physically or spiritually. He devotes most of his free time to several rescue teams, eager to tell people “You’re not lost anymore”. When he meets Kate Callison, the prickly beauty with the sad eyes who rarely smiles and never laughs, he meets a challenge he cannot walk away from. Whether Kate is willing to admit it or not, she needs rescuing – and he is just the man for the job. When a tragedy in the hospital brings Kate’s past screaming back, the whole Department is under scrutiny and jobs are on the line. The only good thing to come out of the whole mess is a tentative relationship between Kate and Wes. Unable to let Kate continue living in the emotionless existence she has carved out for herself to keep the pain away, Wes slowly introduces Kate to life in Texas, delicately courts her heart and gently nudges her towards reconciliations with her father and God. Though Kate is still skittish, life is good. Wes claims to accept Kate just as she is, but when her past unexpectedly collides with his own, can Wes overcome his own demons and forgive Kate’s biggest mistake? Or will Kate’s haunting past also destroy her future? 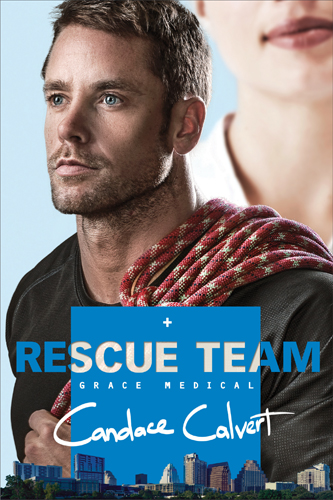 Rescue Team by Candace Calvert is the second book in the Grace Medical series. We first met Kate in Trauma Plan and it was clear that she had a lot of emotional baggage she had to deal with. Her tendency to ignore colleagues’ emotional distress and place the good of the Hospital first was also introduced in Trauma Plan, and it was a joy to experience Kate’s growth in Rescue Team. Calvert pays great attention to realistic, beautiful character development – something I value in authors. This makes Calvert one of my new favourites. What I love most about Calvert’s work is that while her plotlines are very realistic, her characters are even more so. I believe them, and I believe in them. Kate and Wes are wonderful characters that complement each other perfectly. Kate is the wounded one who thinks she’s undeserving of love, who refuses to turn to a God she is sure will reject her; but inside her is a tiny spark of hope that refuses to be extinguished. While she generally puts on a front of a strong, independent, all-business woman, Wes glimpses the repressed Kate in unguarded moments – a vulnerable and lonely woman desperate for the love and acceptance she insists she doesn't need. Wes is a kind, humble gentleman of great faith, but he has a dangerous tendency to be judgmental and unforgiving regarding a certain topic. His intense (and sometimes unreasonable) anger was disturbing to witness, but it kept him from being too perfect. This effectively illustrated that even the most devoted Christians struggle with sin and have issues to overcome. Nobody is perfect – we all need Christ’s guidance, forgiveness and redemption. Kate’s plight was especially well depicted. My stomach was in knots whenever she experienced pain related to her past, and I cried with her when it became too much to bear. Calvert effortlessly places the reader in the shoes of her characters, making the reading experience a very emotional affair. Aside from Kate and Wes, Rescue Team also features wonderful supporting characters who make the story even stronger and more entertaining. The Austin Texas landscape was wonderfully described without becoming superfluous. The book as a whole is a combination of all the right ingredients, perfectly combined to present a wonderful journey about letting go and letting God. Past hurts and mistakes can drag us down and keep us down. Rescue Team reminds us of the importance of letting go of the past and entrusting our futures to an Almighty God who can make the most beautiful mosaic of the shattered pieces of our lives. Rescue Team by Candace Calvert is the perfect read for anyone who enjoys a good love-story, medical fiction and/or stories of hope. I enjoyed every single page, and would recommend this book to… just about anyone, truthfully. I can’t think of anyone who would not enjoy the Grace Medical series. Calvert has already finished the next book in the Grace Medical series, First Responder. Sadly, publication is only expected in 2014. Since I’m late to the Candace Calvert party (shame on me!) I can at least soothe myself by reading Calvert’s previous series in the interim. Mercy Hospital, here I come! Tyndale House Publishers has kindly provided me with a complimentary copy of this book for my review. I did not receive any monetary compensation for this review, nor did this review lead to any personal gain other than the joy of being part of the Tyndale Blog Network. 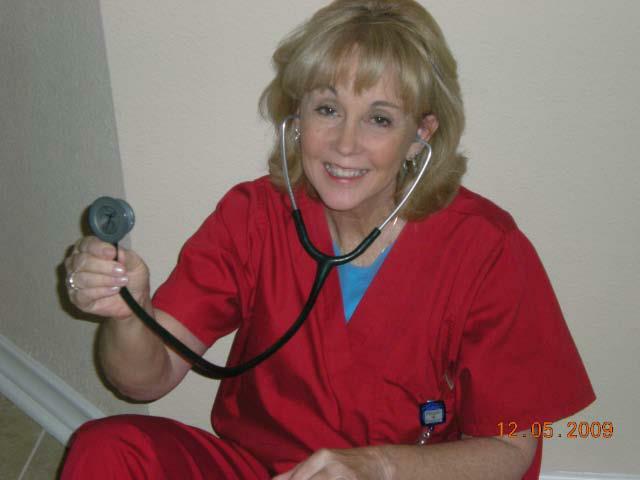 Candace Calvert is a former ER nurse who believes that love, laughter, and faith are the best medicines. Calvert came to know God after the triple whammy that changed her life: “A painful and unexpected divorce, the Northern California floods of 1997, and an equestrian accident that left her with fractured ribs, a bleeding lung, broken back, neck fractures and a spinal cord injury". She’ll tell you that God took drastic measures to get her attention. She is a wife, mother and proud grandmother living in Northern California. I so appreciate your time in reading and reviewing this newest medical drama--such thorough and insightful comments. It's a great honor to team with Tyndale House and offer stories of hope. Thank you for "scrubbing in"! Mrs Calvert, thank you so much for visiting my blog!